April 3-6th marks an important event for the IAMAW and for advancement of women’s issues within our union. After nearly twenty years, the Women’s Department has organized an event to help female leaders network, address issues that affect them as members and women, and to discuss creative solutions. 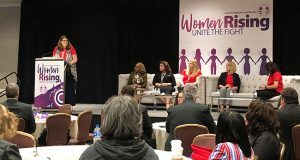 Attendees heard from trailblazing women who made it through the ranks and have taken on leadership positions, setting a new standard and inspiring members through action. They are role models that are shaping IAMAW history. 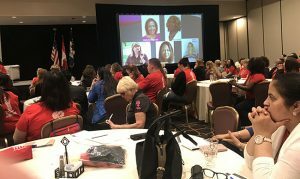 As a wrap up to Day one of the Women’s Conference, the Canadian caucus, which consists of attendees from across Canada, met to address issues that affect our female members. 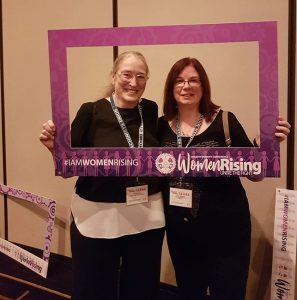 The session was led by Heather Kelley, GLR, Coordinator for Women’s Issues & Human Rights, National Education Representative, who has tirelessly advocated for women’s issues, and attended by GVP Stan Pickthall who shared his appreciation for the work and efforts of our female leaders at all levels. “Canadian local lodges brought sisters from Vancouver to the Maritimes. 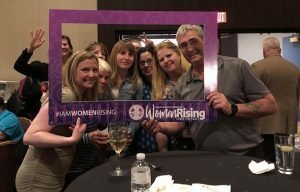 We are well represented by strong women leaders at every level of our organization,” Said Pickthall. The topics that were set as a priorities were universal childcare, domestic violence and harassment, initiatives that ensure women have access to menstrual products, and last but not least, an evergreen issue, local lodge meeting attendance. The group heard from sisters in Halifax and their creative way of organizing a local lodge meeting. The meeting featured a self-defense and meditation class, and in return, attendees were required to bring a donation. The event was so successful that it drew longstanding members to a local lodge meeting for the very first time. The group also discussed initiatives on domestic violence, supports and training that exist for union stewards and members experiencing domestic violence. 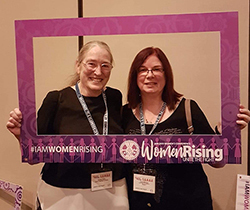 Heather Kelley shared that the IAMAW had raised the issue of domestic violence some 25 years ago, and has been advancing the issue through a health and safety lens at the national level through the Canadian Labour Congress. Heather Kelley hopes that one day, the conference will be attended by 10,000 fighting machinist sisters. “We can make that happen by ensuring that women are mentored, supported and recognized. More importantly, the message that the International President, Bob Martinez imparted was that male members must not only be allies, but advocates. 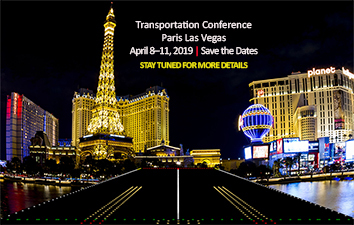 In working together, the conference may grow to be 10,000 members strong. It’s a worthy goal to work towards as not only does it make our union better but our society, too,” she said. The conference continues tomorrow and wraps up on April 6th.